The reason for our stay in Johannesburg was to see the Apartheid Museum. Our trip itinerary included a half-day visit to this museum. This day turned out to be an educational treat that was beyond any of our expectations. In fact, Traci said this was her favorite experience in South Africa. 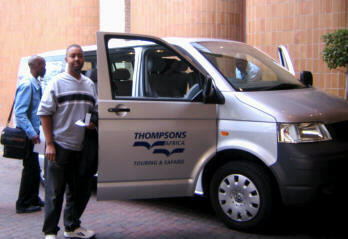 The six of us were picked up at our hotel at noon in a Thompsons Africa van. We were the only ones from our hotel that were doing this excursion, so we had our own private tour. Our driver was a young man named Linda (pronounced Leen-dah). This electronics engineering student was the reason we loved this tour so much. As soon as we got in the van, we asked Linda if he would take us to see Soweto in addition to the Apartheid Museum. His initial answer was no because he said there was not enough time. He needed to have us back at our hotel by 5 PM. He felt we'd need at least 3 hours in the Apartheid Museum and at least 3 hours in Soweto to do either place any justice. However, he told us he appreciated our enthusiasm. He made a call to the Thompsons office for permission to deviate from the schedule. Permission was granted at no extra charge to us. We had no problem sending tip money his way at the end of the tour. Ordinarily, the half-day Apartheid Museum excursion consists of the driver dropping the tourists off at the museum and then waiting in the parking lot for 3 or 4 hours with other drivers until the tourists return to the van. We were really fortunate to have Linda. It turns out, he is not just a driver, but he is also a certified tour guide. He told us if we had any hopes of seeing Soweto, we would need to spend no more than two hours in the Apartheid Museum. In order to make this happen, he decided to give us a personal tour of the highlights of the museum instead of turning us loose to wander on our own. It was about a 20-minute ride from the Rosebank Hotel to the Apartheid Museum. Along the way, Linda pointed out neighborhoods and landmarks in downtown Johannesburg such as the Nelson Mandela Bridge, MuseumAfrica, and the Hillbrow Tower, a prominent fixture on the Johannesburg skyline. 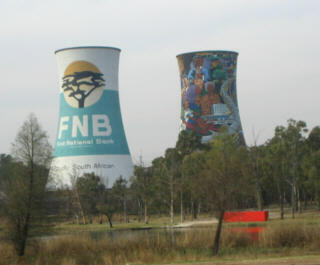 Johannesburg is a big, modern city with skyscrapers, a maze of expressway interchanges, and billboard advertisements. However, we occasionally saw hills of golden brown dirt that are somewhat of an eyesore. Linda told us these were the result of former diamond mines. Upon our arrival at the Apartheid Museum, Linda, handed out admission tickets and went straight to work. Apartheid means apartness or separation. During the apartheid years, people were classified as white, black, or colored (mixed or Asian). The blacks were at the bottom of the social status. This systematic discrimination and oppression was the law of the land from 1948 to 1990. 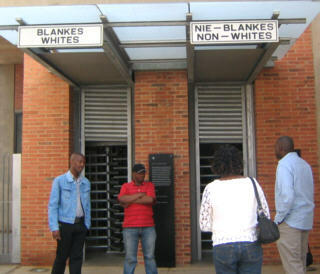 As a reminder of this dark period in South Africa's history, the entrance of the museum has two doors - one for whites and the other for non-whites. However, these doors are the extent of the separation. Once inside, the story of the rise and fall of apartheid is told through film presentations and numerous exhibits with plenty of information to read. The museum is symbolically kept dark with brick walls and iron gates. No photography is allowed inside. Linda was very knowledgeable of all the exhibits we saw. He took us from the early inhabitants of South Africa, through the arrival of Europeans and colonization, through the apartheid years, and eventually to the end of apartheid in 1990. He told us about Nelson Mandela and others who fought against the unjust system. They were charged with treason and sentenced to the maximum security prison on Robben Island off the coast of Cape Town. I was most impressed when we arrived at the protest section of the museum. Linda, who speaks 7 languages, was able to demonstrate some of the chants and slogans in the native languages of the protesters. 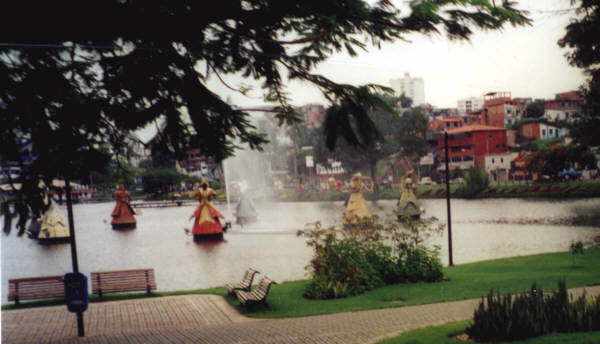 The voice inflections and clicking/popping sounds of some of the languages were fascinating to my foreign ears. Our museum tour ended with the presentation of Nelson Mandela's release from prison after serving 27 years. Nelson Mandela went on to become the President of South Africa and a recipient of the Nobel Peace Prize. Even though Linda managed to get us through the museum in two hours, I don't feel like we were short-changed. He provided a wealth of information through his narration of the exhibits and answered all of our questions. 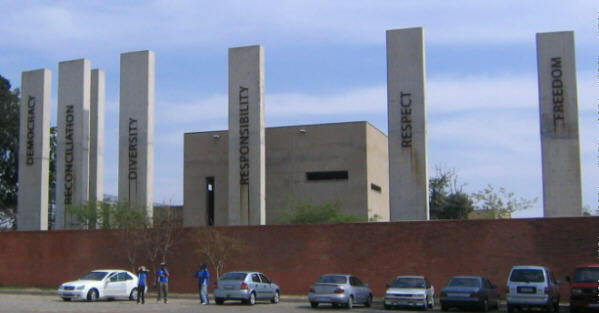 In my opinion, the Apartheid Museum was the best place for us to start our South African journey because it provided a great overview of some of the other places we'd visit in the country such as: Soweto, Robben Island, District Six, and the Zulu lands of KwaZulu-Natal. After our enlightening tour of the Apartheid Museum, we got back into the van to begin our Soweto tour. We were very fortunate to have Linda as our guide because he has lived in Soweto all his life. During our tour, he would occasionally stop to say hello to some of his friends. Soweto is the largest township in the country. 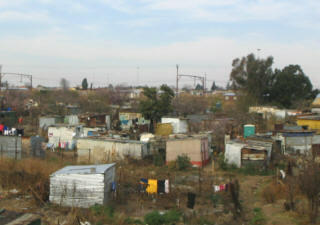 Linda told us its 4 million inhabitants is approximately equal to the number of people who live in Johannesburg. 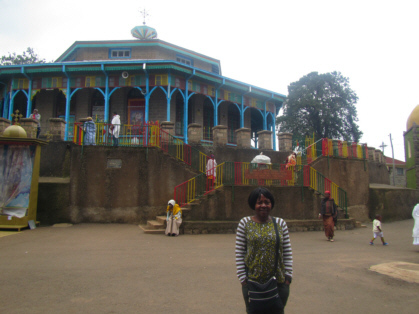 Our ride through this township was quite an eye-opening experience for me. Before this trip, the images I had seen of Soweto on TV were those of shanty towns, crime, and protests. While we definitely saw our share of shanty towns and were told crime is still a major concern, we also saw some of the nice neighborhoods of Soweto. These neighborhoods had neatly landscaped yards, quaint houses, driveways, etc. This place was just full of surprises. 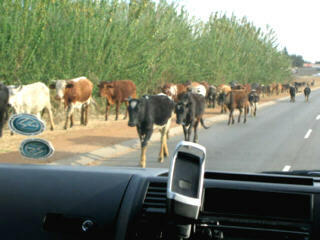 For example, I never expected to see a cattleman herding his cattle through a residential neighborhood. After riding through the various neighborhoods and shanty towns, we eventually arrived at the former home of Nelson Mandela. He lived in this house up until he was arrested in 1962. He returned after he was released from prison but only lived there for 11 days before he realized he had to move due to the constant stream of visitors. Today, the house serves as a museum. For approximately $3 per person, a tour guide will take you on a 20-minute tour through the home. Our tour guide was a young guy who seems destined for a career in stand-up comedy with all of his one-liners and mannerisms. 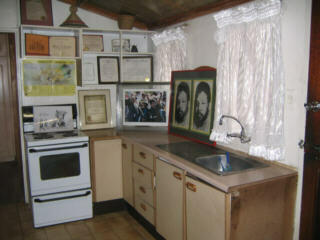 Inside the house, there are pictures of the Mandela family, gifts from celebrities, and a display of some of Nelson Mandela's honorary degrees (He has received over 100 honorary doctorates.) One of the gifts I found interesting was a championship belt from Sugar Ray Leonard. 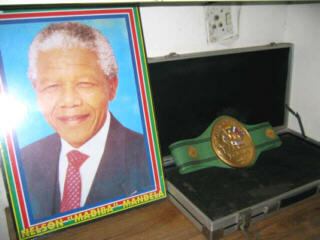 Nelson Mandela was a boxer back in the day. After our stop at Nelson Mandela's house, Linda drove us down the street to the home of another prominent South African, Archbishop Desmond Tutu. Unlike the Mandela house, Archbishop Tutu's house is not a museum. It is still occupied by some of his family members. There are high walls, fences, and security cameras at this home. 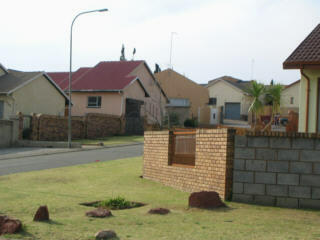 The significance of pointing out Archbishop Tutu's house is that this small street in Soweto is the only street in the world to contain the homes of two Nobel Peace Prize winners. Before being returned to our hotel, we saw other sites in and around Soweto such as the largest hospital in South Africa and the construction site of a new sports stadium (Johannesburg will host the 2010 World Cup Soccer Tournament). We thanked Linda for a wonderful tour. He had made our half-day excursion better than any of us could have ever imagined.